The 10 Best Wineries in Wisconsin! 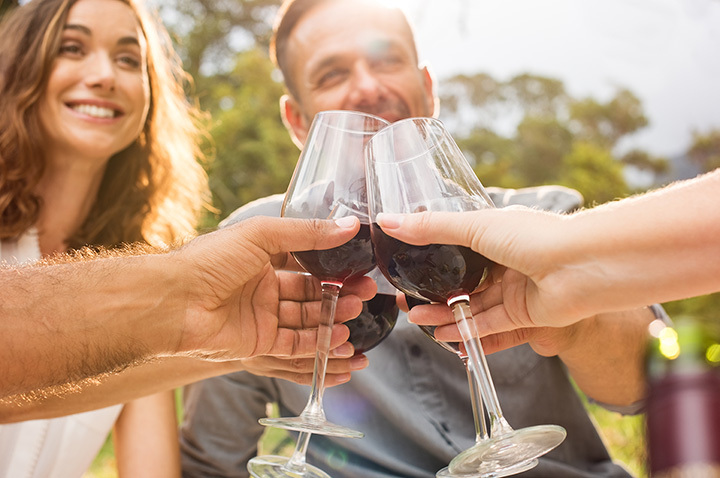 Wisconsinites value both their craft breweries and their over 80 wineries across the state—and that doesn’t even include those who are brewing at home! You won’t have to travel far to find a vast and beautiful vineyard to sip on some of the finest wines around. Here are the 10 best. Wollershiem Winery was created in 1985. The winery produces more than 240,000 gallons of wine per year. This award-winning winery holds tours, events, and tastings. Although located in Prairie du Sac, Wollersheim attracts visitors from all over the Midwest. Botham Winery is located in Barneveld, Wisconsin. This beautiful winery has a great gift shop, holds events, has an intuitive tasting room, and of course their famous vineyard tours. For over 25 years Botham Winery has been creating both classic favorites and newly discovered gems. Door Peninsula Winery has been aging wine for over 35 years—making them one of the oldest wineries in northern Wisconsin. Not only is this a northern Wisconsin attraction but specifically a hit in Door County. They create a variety of different wines, including their seasonal wines. Tours are on the hour every hour—the winery itself is open year-round. Located in small town, Viroqua, Vernon Vineyards creates 16 different wines on their beautiful 75-acre vineyard. Free wine samples are served during hours. Tours are available and events are open for reservations. Their wines are created with 100 percent locally-grown grapes and cranberries. This winery is inside a Civil War era building—making it a historical place to visit. Visit their tasting room, production facility, and beautiful views from their Terrence of Lake Michigan. The winery was created in 1967 making them the oldest licensed winery in the state. Travel back in time while sipping wine at Von Stiehl Winery. Cedar Creek Winery is a sister winery Wollersheim Winery. Cedar Creek not only serves the Cedarburg area but attracts Milwaukee residents as well. The building has cool a limestone underground cellars that provide the perfect setting to age their wide variety of wines. Wisconsin Dells has yet another attraction up their sleeve but housing Fawn Creek Winery. Their wine menu consists of red, white, fruit based, and seasonal wines. Enjoy a complimentary tasting in the north woods of Wisconsin. Purchase a bottle of wine, artisan cheese, or shop their gift shop. Just outside of Green Bay lies Mona Rose Winery. Enjoy a glass of wine prior to purchasing and experience their handcrafted tasting room. Bring an event to Mona Rose to try any of their 22 wines—generally Mona Rose make sweet and tannic wines. Staller Estate Winery is a heavily educated based winery. Their owner gives presentations at organizational meetings and tries to be present at most wine tastings. They have seasonal, hosted events as well as accommodations for your specific event. Try a sample of wine or a flight of wines. It’s up to you! Armstrong winemakers have been making wine for about 20 years in the Kettle Moraine area. Enjoy free wine tastings, or order by the class, bottle or case. Per their winery name—visitors love trying one of their nine apple wines. View more Wisconsin Wineries & Vineyards.